Our guide to St Paul will help you find the best kid friendly parks in St Paul Minnesota. Drawing comparisons between Minneapolis and St. Paul is a difficult task. St. Paul has a slightly reserved, antique feel about it; Minneapolis is hipper, noisier, and busier. Both cities have tall, gleaming glass skylines; St. Paul's is designed to blend with the city's art deco and Victorian architecture, while Minneapolis's is more eclectic. St. Paul has preserved much of its architectural heritage, while most of downtown Minneapolis is new. Both cities straddle the Mississippi River, and riverboat traffic calls at the Twin Cities from as far away as New Orleans. There are tons of great kid friendly parks in the city of St Paul, our city guide will help you find the best kid friendly parks. You may have a hard time deciding what to do in St Paul, but we make your decision easy. 1021 Oakdale Ave - 2 climbing walls, shade structures, chair to rest on, covers a wide range of ages. 1033 Tamberwood Trl, (651) 714-3733 - Evergreen West Park is a kid friendly park located in St Paul MN. 1188 Hubbard Ave, (651) 298-5755 - Griggs boasts a playground, basketball and tennis courts, ball fields, and a meeting room. Space in the center can be booked for private parties. 1399 Otto Hummer Dr, 64663768255116 - Highland Park is a kid friendly park located in St Paul MN. 2150 Doswell Ave, 64663768255108 - Also includes playground for ages 2 - 5. 2399 Hoyt Ave, 64663768255108 - Nature Park is a kid friendly park located in St Paul MN. 320 Griggs St S, (651) 695-3711 - Edgcumbe Park and Recreation Center is a kid friendly park located in St Paul MN. 362 Dayton Ave, (651) 228-0599 - Boyd Park also has a drinking fountain, grills and a bike rack. Park is 1.53 acres in size. 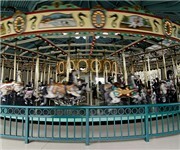 401-407 S Bellows St St Paul Mn 55107, (651) 632-5111 - Prospect Park is a kid friendly park located in St Paul MN. 480 Aurora Ave, (651) 675-5500 - Central Village Park is a kid friendly park located in St Paul MN. 598 Wacouta St, 64663768255101 - Playground 2-5 and 5-12 with Universal Access, Benches. 670 Waseca St, (651) 292-7244 - Baker Park and Recreation Center is a kid friendly park located in St Paul MN. 705 Iglehart Ave - Carty Park also has a Play Area for Ages 2 - 5, grills and drinking fountain; 3.62 acres in size. 798 Jefferson Ave, (952) 832-6790 - Palace Park and Playground is a kid friendly park located in St Paul MN. 870 St Claire Ave W, (651) 298-4760 - Linwood Park and Recreation Center is a kid friendly park located in St Paul MN. 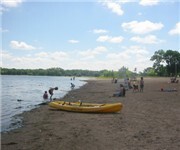 Lake Ave, (763) 593-8095 - West Park and Memorial Beach is a kid friendly beach located in St Paul MN. There are plenty more kid friendly parks in St Paul. 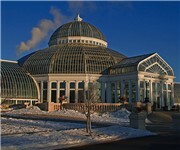 See all kid friendly parks in St Paul Minnesota.